Sunday, 27 January 2019, 12:22p.m. A menu costing $18,000 for six is being offered on an exclusive menu at Auckland's SkyCity this Chinese New Year. SkyCity's Chinese restaurant, Huami, plans to offer the special premium set-menu next month for "Super VVIP customers", rich tourists and high-rollers to celebrate the festival. The menu, which starts with a premium NZ seafood sashimi platter comprising crayfish, scampi and tuna, also includes other expensive dishes made from abalone, scallop, black truffle and wagyu beef. 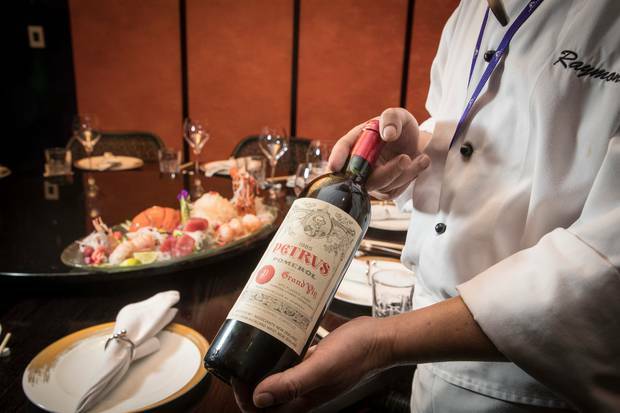 A bulk of the cost also goes to the liquor that comes with the food, including a $7500 bottle of 1985 Petrus, $900 Louis Roederer Cristal champagne and a $1800 Armand Rousseau Gevrey-Chambertin Clos St Jacques. But a SkyCity communications adviser was keen to point out that Huami also offered "very reasonable dim sum to higher-budget seafood and champagne options" and caters for all budgets. She said the $18,000 menu was "curated from our a la carte menu for the purpose of displaying how you could come into the restaurant and have a super-lavish premium experience". Huami, which opened in July 2017, also offers a deluxe Chinese New Year festive menu, costing $988 for six. Shanghai-born executive chef Raymond Xue is behind the offerings. 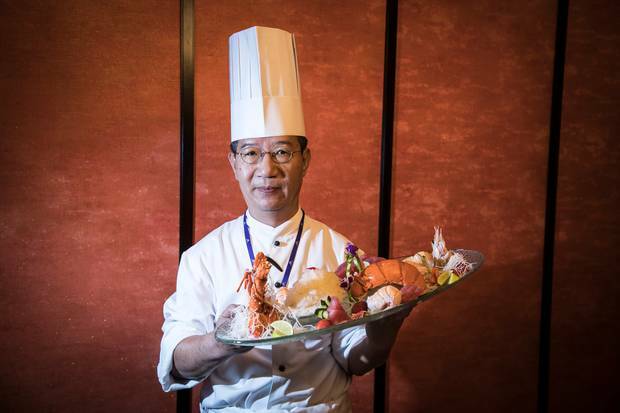 Xue, who was appointed last year following a global search, has worked across the tourism industry including five-star hotels, fine dining Chinese restaurants and luxury cruise liners for more than 40 years. "With my passion and speciality in Chinese cuisine, I hope to impress customers with how we can deliver authentic Chinese cuisine with a modern twist," Xue said. Massey University China marketing expert Associate Professor Henry Chung said it was a "smart move" for Huami to offer the costly menu. "The top-end pricing would be particularly appealing to rich Chinese who are willing to spend on their meals during Chinese New Year because the meals denote what they have achieved in the past year. "For the top-end travellers, the crazy rich Chinese, they will be willing to take their families, close friends and associates to a super expensive Chinese New Year memorable meal. "They would consider this an investment for the Year of the Pig and beyond." But Chung said asking price had to match food quality and service to meet the high demands of the super-rich diners, who had travelled the world and experienced dining at top international restaurants. "Huami needs to take this seriously as their success would have a huge impact on the entire tourism industry in NZ," Chung added. "These VVIP diners are likely to be internationally influential and their word of mouth about their experience can be very powerful." Simon Milne, director of AUT University's New Zealand Tourism Research Institute, said food and beverage was "a significant component" of the visitor experience and spend. "Typically tourists around the world spend around 30 per cent of their daily budgets on food and beverage items ... food quality and value for money are often a significant factor in shaping levels of visitor satisfaction." Milne noted that surveys by the Ministry of Business Innovation and Employment have found that food and beverage ranked as one of the least satisfying areas for all visitors to NZ. Chinese visitors here also generally tended to be less satisfied with their overall experience with their visit than visitors from other markets, Milne said. Chinese New Year, the Year of the Pig, starts on Feb 5 and celebrations at SkyCity will run from New Year's Eve until Feb 25.